The government has promised hundreds of millions of pounds funding for tram-train in Greater Manchester. Grayling said he and Network Rail saw tram-trains as part of the solution to chronic capacity problems in central Manchester. The mid-Cheshire line from Stockport through Cheadle and Gatley to Altrincham could be the first tram-train line. Its well known that tram train is a long project. Give us a station now. A decent bus service would be even quicker. I whole heartedly agree with Alan and wrote to this effect last week. If “our” money is dependent on the successful conclusion of the Sheffield trai-tram pilot then we’ll be waiting in years. It only got underway late last year and is due to run for two years. So, given this and the normally long consultation and planning process in the UK we could easily be waiting 5 years. Build and statin and get Northern/Network Rail to change the timetable now. What about Gatley? Now no public transport when trains on strike!!!! Absolutely Deborah – the current mess is something we’ve been campaigning on, and it’s just embarassing that the government can’t sort it out. Iain – are you blaming the government for the strikes? Hi Bruce – The government deserves the biggest share of the blame for the mess our public transport system is now in. Absolutely! build heavy rail stations at Cheadle and Gatley/Northenden sites (and possibly others at Baguley, Timperly, etc.) as soon as possible to provide the quickest journey times to Manchester and elsewhere. 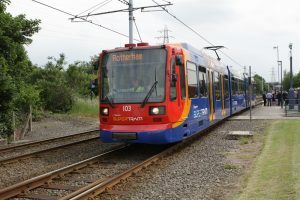 Forget the tram-train idea for this route – it would be too complex, too expensive, slower and take longer to introduce – all to no advantage whatsoever as a change to heavy rail would be required at each end of the line anyway. The main attractive feature of trams, is the service frequency, however, this is an operational issue which could be addressed using the existing track and trains or railcars. With a bit of extra planning, alternate trains could run between Stalybridge and Chester, thus providing the southern ‘orbital route’ occasionally sought on this site. Could we not have a circular bus to include East Didsbury Metrolink station. No infrastructure required and it would at least establish if there is a demand. Of course parking will be a problem as the car park there is full most days. Yes – we continue to ask for that as well. At the moment it requires a private company like Stagecoach to want to put on the service, and they’ve shown no interest, but we’ll keep on at it. Quite so Les, such a bus service would be useful. However, don’t forget that once at E. Didsbury, the quickest way to Manchester (timetable permitting) is by train from E. Didsbury station. Metrolink takes the longer and slower route around SW Manchester to reach the city centre but is ideal for that. A recent Local newspaper article contained a map showing potential station upgrades. Some of these were on the Stockport to Stalybridge line. About 20 years ago, around Christmas, Stockport services to Piccadilly were halted while the latter station was upgraded. One day, I travelled on the replacement service that ran from Stockport to Victoria via east Manchester. This was reasonably fast and comfortable and a quicker route to the shopping and banking areas around Deansgate and king Street than the usual train to Piccadilly followed by a walk or bus link. My companion on the train to Victoria mentioned that he had favourable memories from his days as an articled accountant in Bolton when his daily journey from Stockport to Bolton by steam train involved a change at Victoria. He said it was a pity that the Stockport to Victoria service was not being continued after its temporary resurrection as it performed a useful function and was a useful way of reducing road transport across the city. A permanent link via east Manchester and Victoria to Bolton would be a useful addition to transport planners wish list. 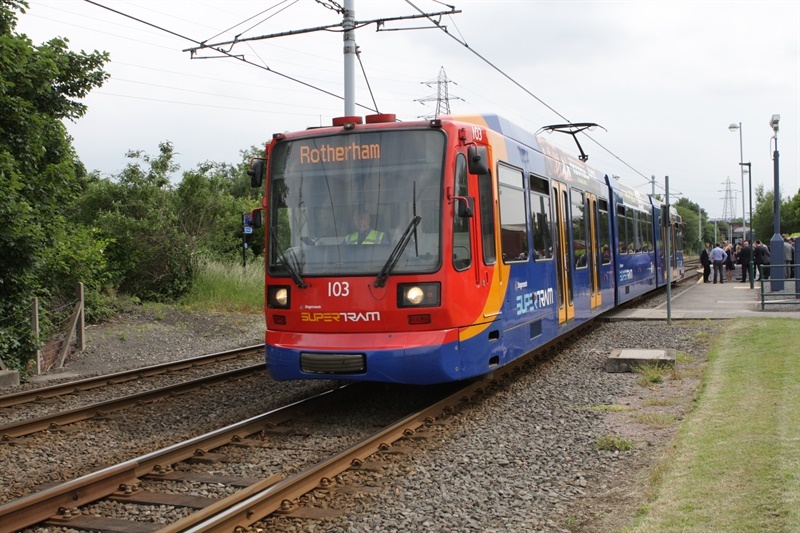 It would be worthwhile putting such a link, whether by tram or tram-train on our wish list. I’ll always be in favour of more public transport, whether tram-train, a circular to East Didsbury, or just more bus services. But I have to cast a cynical eye over politicians who arrive bearing firewater, blankets and trinkets for the local natives. You have to ask – are they softening us up for a snap general election? The Government have been announcing a few new policies just recently. But will they actually still be in power to see any of these policies to fruition? Let’s face it – talk is cheap. And if we crash out of Europe without a deal, heaven forbid, then we’ll enter the mother of all recessions. There definitely won’t be tram-trains then, unless they’re steam-driven.